Education is a key component of the mission of Susan G. Komen for the Cure to bring about community change and empower women with life-saving breast health and breast cancer information and resources. 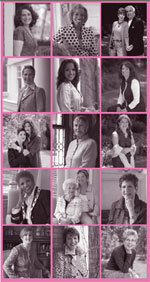 A principal strategy of Komen North Jersey's education programs has been to establish multiple partnerships and collaborations between and among the National Organization, sister Affiliates, National and State public policy groups and Legislators, community-based organizations with similar missions, major cancer centers and Affiliate Grantee organizations. To formulate conclusions and recommendations for targeted initiatives for each County and the region as well as to position the organization for maximum effectiveness. Best Protection is Early Detection! Raise Your Voices for Healthy Choices! EMPOWER YOURSELF! Whether you're a newly diagnosed patient, or are a friend or relative of someone suffering from advanced breast cancer, this book offers help. 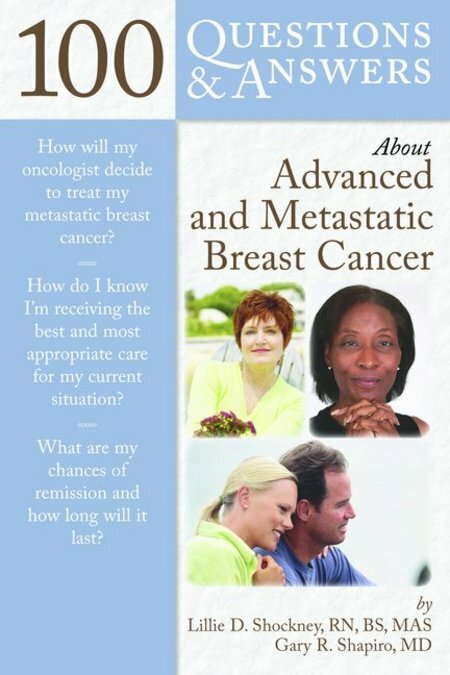 The only text available to provide both the doctor's and patient's views, 100 Questions & Answers About Advanced and Metastatic Breast Cancer gives you authoritative, practical answers to your questions. Written by Lillie Shockney, Administrative Director of the Johns Hopkins Avon Foundation Breast Center, Instructor in the Department of Surgery at Johns Hopkins University’s School of Medicine, and tireless breast cancer patient advocate, with "insider" commentary from actual patients, this book is an invaluable resource for anyone struggling with the medical, psychological, or emotional turmoil of this condition.